The Global Pound Conference previously announced by CIS Arbitration Forum took place in Moscow on 21 June 2017. 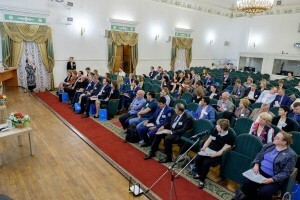 The event aimed to contribute to the development of 21st century commercial and civil dispute resolution tools at Russian domestic, regional and international levels. The attendees mostly included providers of non-adjudicative dispute settlement procedures, such as mediation. This fact strongly influenced the general ambience both in the hall of the Moscow State Linguistic University and during the coffee breaks – conversations included active listening at its best. The participants discussed the results of a survey (online voting) which took place on the conference eve. The survey included questions, in particular, what outcomes parties most often anticipate before starting a dispute resolution process? ; what are the main obstacles or challenges parties face when seeking to resolve their disputes? ; and what is the most effective way to improve the parties’ understanding of their dispute resolution options? Surprisingly, many answers given by Russian respondents did not substantially differ from the average global survey results. Irena Vanenkova, Executive Director of the International Mediation Institute, opened the conference and moderated the first session. 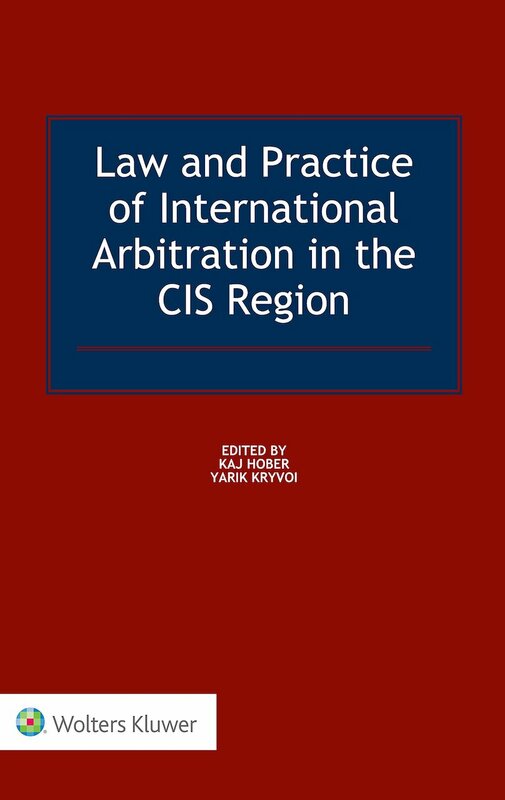 During the session, when discussing the expectations of the parties and the conditions that make them choose a particular dispute settlement procedure, the participants considered international arbitration. Chairman of the Arbitration Court at the Association of European Business Robert Schulze stated that the enforceability of international arbitral awards in the territory of other states makes it preferable to the national judicial system when it comes to transnational disputes. 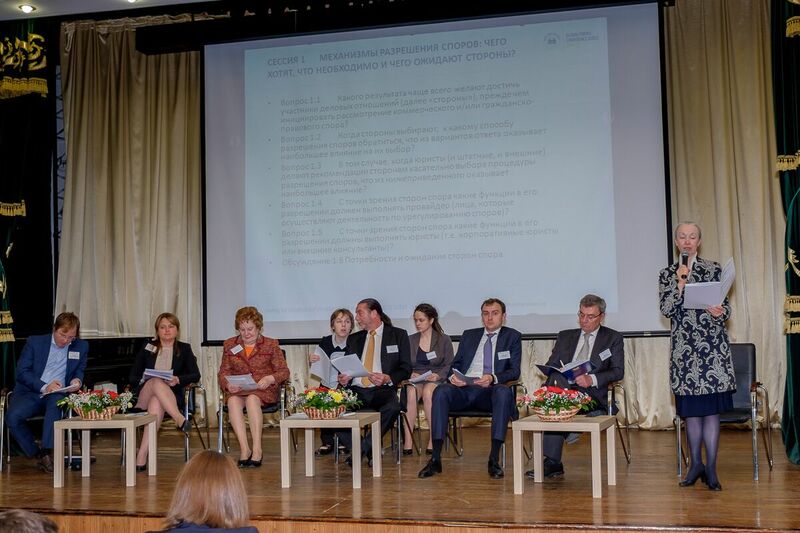 Professor at the Russian Academy for Foreign Trade, arbitrator with the ICAC at the Russian Chamber of Commerce and Industry Nina Vilkova referred to encouraging statistics: in 80-90% of cases parties to international arbitration comply with the awards voluntarily due to the high qualification of arbitrators and the procedure being tailored to the parties’ needs. Getting back to the expectations of the parties, Chairman of the Global Practice of International Arbitration and Disputes Resolution at Baker Botts Ivan Marisin stated the prior obligation of an expert consultant to assess the possibility of settling the client’s dispute out of court thus avoiding the litigation. Partner at White & Case Julia Zagonek supported her colleague adding that the key driver to approach dispute resolution remains the client’s will ie whether or not to maintain relations with the opponent. According to the voting results of the session, before starting a process in commercial civil dispute resolution the parties mainly focus on its financial outcome. In wider terms, the factor that mostly affects choosing the type of dispute resolution process is its efficiency. The higher probability of getting the desired result by applying ADR has the most influence on the parties making the choice. Last but not least – the parties to commercial disputes expect the providers to decide on the process while they decide on the outcome themselves. In the course of the second session moderated by attorney-at-law Alexander Khazov (Khazov, Kashkin & Partners) the participants assessed dispute settlement providers’ performance in the context of the identified needs of the parties. The survey participants prioritised the importance of both the financial and psychological effect of a particular dispute settlement procedure upon the parties. They also noted that the outcome of a commercial or a civil dispute depends primarily on the parties’ ability to reach a consensus and find common interests. Respondents consider costs and expenses reduction to be the main results of non-adjudicative procedures. Improving or restoring relationships and retaining control over the outcome were the second and the third choices respectively. The audience recognised that non-adjudicative providers (such as mediators) bear the most responsibility for clarification of available dispute resolution mechanisms and possible after-effects thereof to the parties. This differs from global results of the voting (final report yet forthcoming) which mostly indicated that such task pertained to external and in-house lawyers. Within the third session moderated by the ICAC and MAC President Alexei Kostin possible improvements of the current ways of settling dispute procedures became subject to discussion. As the voting results showed, the audience believed that the main obstacle for the parties in resolving disputes comprised uncertainty. 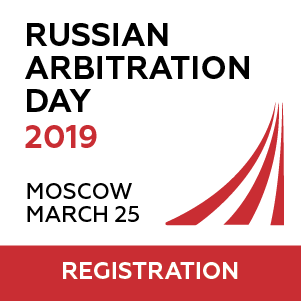 Dmitry Davydenko, Chief expert of the Arbitration and Mediation Center at the Russian Chamber of Commerce and Industry highlighted the importance of certainty of the final outcome of the dispute resolution procedure such as the possibility to actually obtain the awarded property. 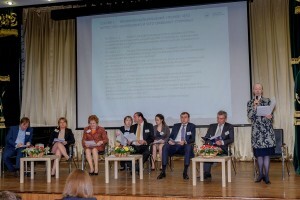 ICAC arbitrator, Deputy Head of SOMEDIARS Natalia Gaidaenko Schaer noted the uncertainty is rooted in certain gaps in Russian procedural law and in the general attitude that a mediation clause constitutes just another provision in a contract that (like any other) may require court-ordered enforcement. 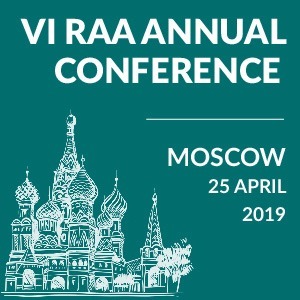 According to former ICAC President Professor Alexander Komarov the results of non-adjudicative procedures in Russia currently remain private law documents for which the reconciled parties need to report to the government agencies (including tax authorities) at their own risk. They often have to prove that this act of reconciliation does not aim at concealing illegal actions. Head of the Civil Law Section of Foreign Countries at the Institute of Legislation and Comparative Law under the Russian Government Natalia Semilyutina prioritised the importance of a better interaction between the adjudicative and non-adjudicative procedures, their course and outcome. 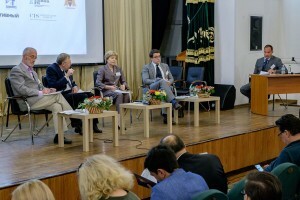 The experts agreed with the voting results that successful dispute resolution development in Russia requires combining adjudicative and non-adjudicative processes, which necessitates legislative amendments to ensure such liaising and its efficiency. 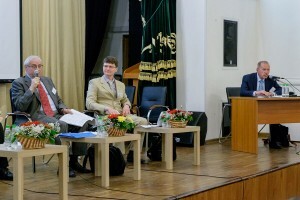 Professor Komarov added that any dispute settlement begins at the stage of drafting the arbitration and mediation clause in a contract. Applying to the court should be legally recognised as the measure of last resort in dispute settlement when all the pre-judicial and extrajudicial measures have proved inefficient. 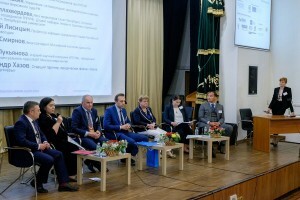 The final session, moderated by Ekaterina Smolyannikova (Astashkevich & Partners law firm), covered specific actions to improve the accessibility of dispute resolution. According to the participants, adjudicative providers such as state judges bear the primary responsibility for promoting access to justice in all forms, including ADR. Educational activities for students and the business community remains the most efficient way of improving the general understanding of possible ways to settle disputes. The audience also stated that lawmakers should focus on introducing a binding element into the adjudicative and non-adjudicative procedures and/or on assigning the latter a status of compulsory pre-judicial dispute settlement procedure. Many online voters opted for creating systems of preliminary case assessment (assessment at an early stage of conflict) involving independent third-party consultants who will not take any further part in resolving the conflict. This was the second most popular choice when considering access to justice promotion by state. 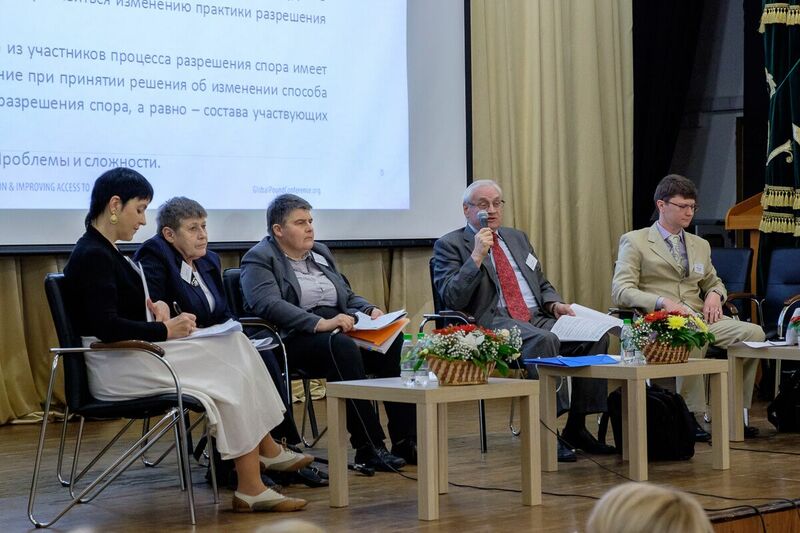 Though everyone agreed that mediation in Russia gets less media coverage than it should, making it de facto inaccessible due to lack of information, the speakers said that making it compulsory would not solve the problem. 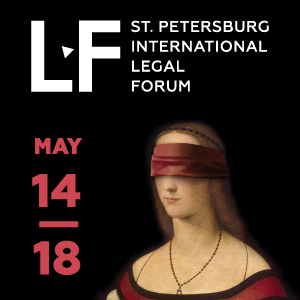 Thus, Irina Lukyanova, Senior research associate at the Institute of State and Law of the Russian Academy of Sciences, assessed the proposed amendments of the Russian law, including the projects to introduce a more severe liability of mediators and making mediation mandatory, to be premature. 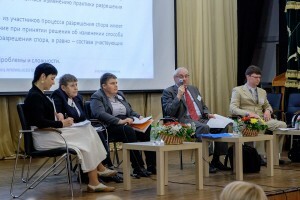 Supporting the latter speaker, Deputy Head of Center for Alternative Disputes Settlement and Mediation at the Saint Petersburg Chamber of Commerce and Industry Natalia Pavlova invoked Italian statistics, where mediation gained popularity when the law making it compulsory became inoperative. As an alternative she proposed to recognise as mandatory directions to non-adjudicative procedures issued by courts or other competent authorities (eg entrepreneurs’ ombudsmen) on a case-by-case basis. According to Mrs Pavlova, Russian judges sometimes directly ask the parties to provide evidence that they resorted to a mediator prior to going to court. Speaking of the enforcement of the mediation agreement, Mrs Pavlova reminded her colleagues that the mediator’s task consists in promoting a solution to which the parties adhere to voluntarily. Director of Saint Petersburg Negotiations and Conflict Resolution Center Olga Allakhverdova opined that all the necessary conditions for mediation to develop in Russia do exist now. “People keep their stereotyped thinking. It doesn’t normally occur to us that instead of escalating a conflict we can have a direct dialogue with our counterpart.” Therefore much depends on the dispute settlement experts who should assess and explain the nature of the conflict and the means of preventing its escalation. Professionals involved in mediating disputes must above all adhere to the “do no harm” principle. An inspirational event providing first-hand information from top Russian experts, the Moscow Global Pound Conference revealed the most topical issues standing in the way of development of dispute resolution procedures in Russia and possible solutions thereof. This gives hope that conciliatory and other amicable techniques will become more widespread in the settlement of disputes involving Russian parties.